It would concern me as well. The shock loads were countered by the lower subframe mounts and they look to have a load of about 1.25x the shock load. Wit your new mono-shock mount you have greatly increased the leverage on the shock, and obviously also the forces, but this greatly increases the load on the SA pivot. The slight downward angle helps out a bit in reducing the forces but you are probably now putting double the wheel load into the SA pivots. You are also forcing the top end of the cradle forwards with double the wheel load but that is less of a concern here. 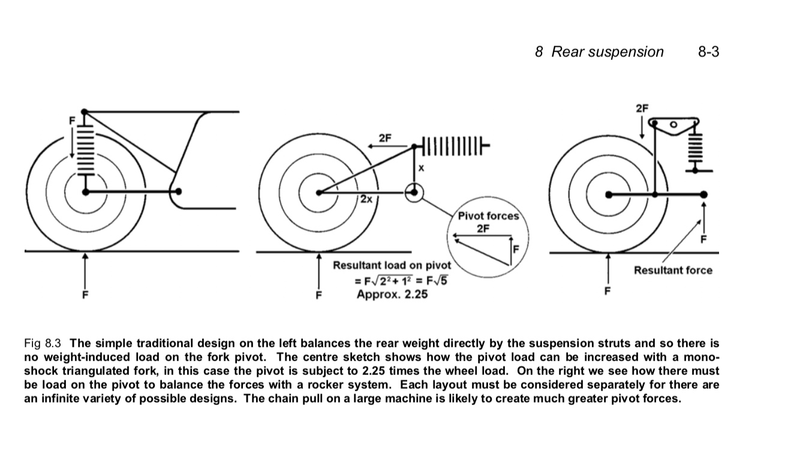 Also, it looks like you have a regressive rate geometry on the rear suspension. If the shock angle changes and slowly becomes more vertical as it compresses then that is indeed the case. It’s hard to tell from the photos though. Have you ever ridden an airhead? They didn't earn their rubber cow moniker for nothing. LOL . Between the orientation of the motor/crank rotation and the featherbed-like design of the frame, they are extremely sloppy in turns. It's a very soft, noticeably rubbery effect. Gotcha, I see what you guys are getting at now. The way I read Irk’s first post I thought he was talking about the top shock mount specifically failing or something, now that I re-read I see what you were saying. Yeah, these frames are known for flex. The first thing I did was start looking at road race bikes to see how those guys deal with it. Actually, first thing I did was consider build a new frame, but it’s not in the budget. 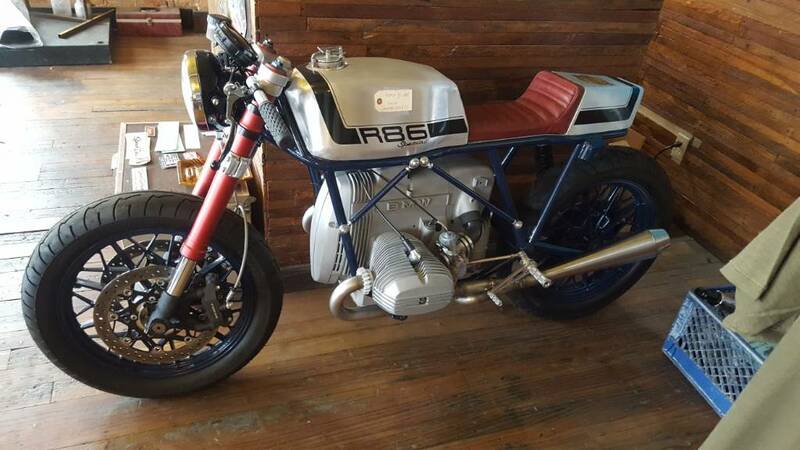 I plan to make braces like guys run on their race bikes (pic below), but I need to get everything else in place first to avoid clearance issues. I’ve been thinking over supports in the rear coming from the SA mounts and running to the top shock mount, and a cross brace at the SA mounts to triangulate the area. Similar to what’s in the picture. If you look close, you might or be able to tell in the pictures, the top shock mount isn’t completed because I am considering using it as a landing pad for the rear braces. Incredible work on this! Can’t wait to see the end result!! 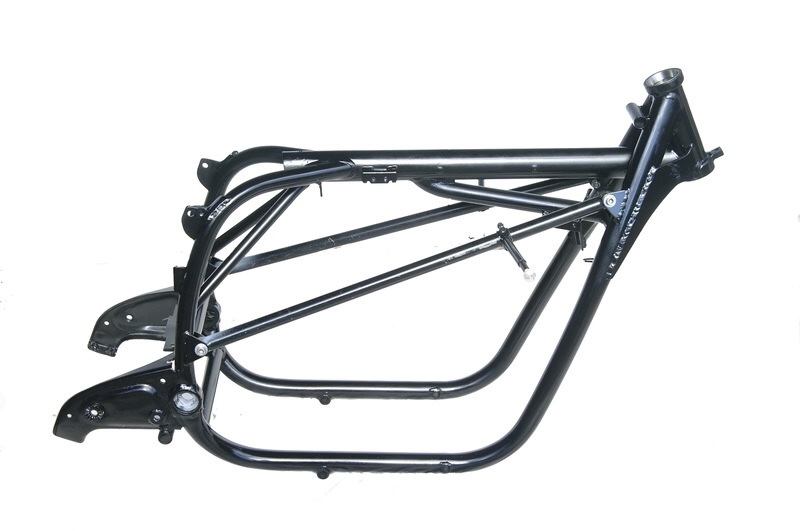 This one has an entirely custom frame (I think) but its another idea for bracing none the less.